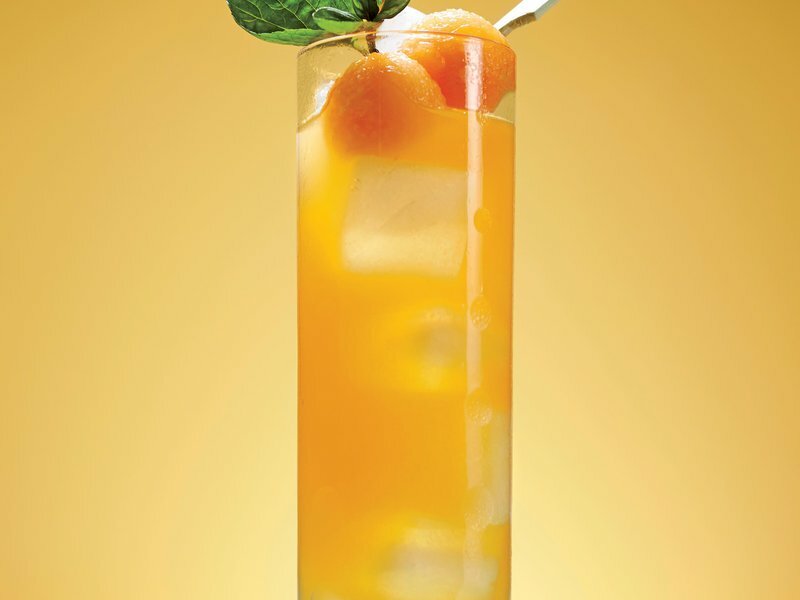 Cantaloupe and mint are two of the most refreshing flavors of the season. We combine them, along with a generous amount of lemon juice and tequila, in this recipe to create a cool, invigorating summer drink. (about 30 minutes). Discard mint sprigs. lemon juice, 2 cups cold water, 1 1/4 cups tequila, and 5 mint sprigs. Chill until very cold, about 4 hours. 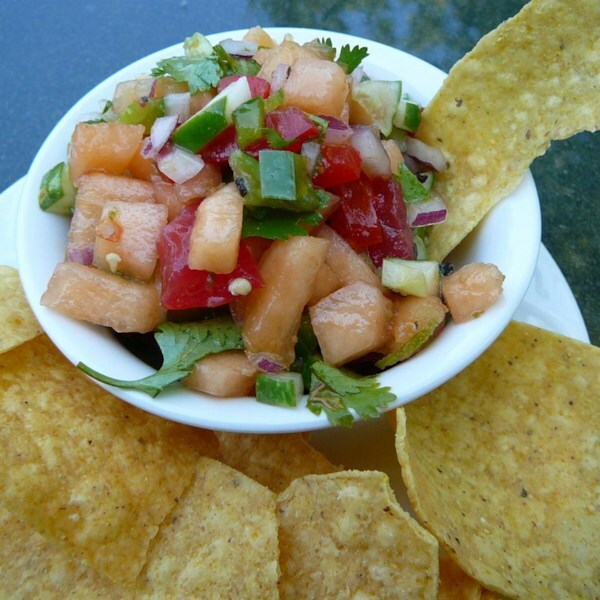 Get most of the ingredients: English Cucumber, Cantaloupe, Jalapeno, Onions, Tomatoes and Cilantro from your friendly Atchison Farmers! You Can Find Cantaloupe at Your Atchison Farmers Market Wednesday Afternoon from 2:30-5:30 PM! The Cantaloupe derives its name from the Italian village of Cantalupo, where it was cultivated upon the fruit’s seeds being brought there from Armenia. The original variety has had its seeds dispersed and cross-cultivated throughout Europe and the Americas. The original Cantaloupe was smaller and not quite as sweet as modern cultivars. Cantaloupes have been developed over time to achieve uniform size, improved flavor and disease resistance. This high level of consistency has contributed to the Cantaloupe becoming the most widely eaten melon variety in America today. While there are dozens of cultivars of Cantaloupe, there are two specific varieties recognized: the true Cantaloupe, botanically known as Cucumis melo cantalupensis, and the North American cantaloupe, Cucumis melo reticulatus. Both varieties are members of the Cucurbitaceae family, the netted variety referred to in America as a Cantaloupe is in actuality botanically speaking a muskmelon. Why is Cantaloupe So Good For You? Cantaloupe is an excellent source of beta-carotene, folic acid, magnesium, potassium, vitamin C and dietary fiber. They contain anti-inflammatory nutrients cucuritacin B and cucurbitacin E. Some studies have shown that muskmelons (cantaloupes) may have the potential to help prevent or treat breast, ovarian and lung cancers. The Cantaloupe is defined by two elements: its roughly netted stone and green colored skin and its aromatic orange-coral colored flesh. When perfectly ripe, the flesh is juicy, unctuous and sweet. The Cantaloupe will feel heavy versus hollow, a weightiness which is an indicator of its water content. The ripe fruit releases its trademark floral musky aroma. It should yield just slightly to finger pressure at its blossom end, which is opposite of its scarred end, where it was removed from the stem. Like other melons, the Cantaloupe’s flesh bears a central seed cavity. The Cantaloupe is unique to other melons in both fragrance and its flesh’s texture. Most melons simply do not have the same dense and sticky flesh that a cantaloupe does. The Cantaloupe can be used in fresh or raw preparations, both sweet and savory. It is not found to be suited well for cooking. Fresh Cantaloupe can be used as a breakfast fruit and as a salad ingredient. It makes a perfect element in cold or fresh desserts. It also can be used as an ingredient in drinks. Cantaloupe pairs well with feta and goat cheeses, almonds and hazelnuts, mint, citrus and cured pork. Cantaloupe’s flavor is unique to all other melon varieties, making substitutes somewhat incomparable. 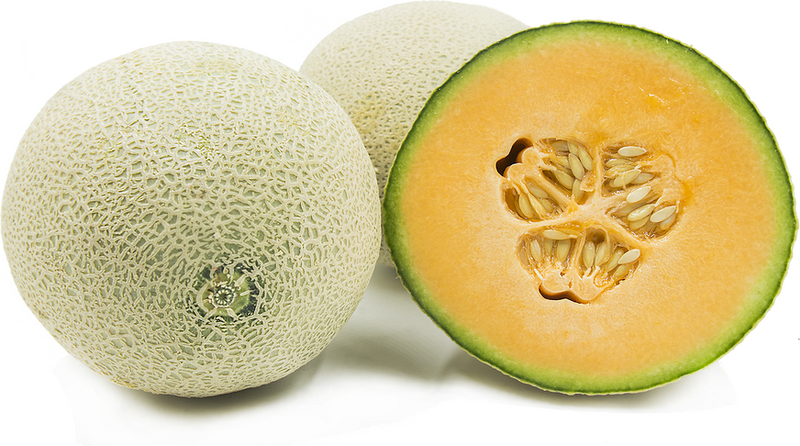 To store, keep unripe Cantaloupes at room temperature. When ripe, refrigerate. Remove melon an hour before serving to bring out its best flavor. Cut Cantaloupe will keep refrigerated in a sealed container for three days. 1. Combine all ingredients in a bowl and enjoy as a snack. Remember to drink the juice left at the bottom, it’s the best part! *If limes are not available substitute with lemons. Cucumbers, botanically classified as Cucumis sativus, are technically a fruit and belong to the same family as zucchini, pumpkin, watermelon, and summer squash. 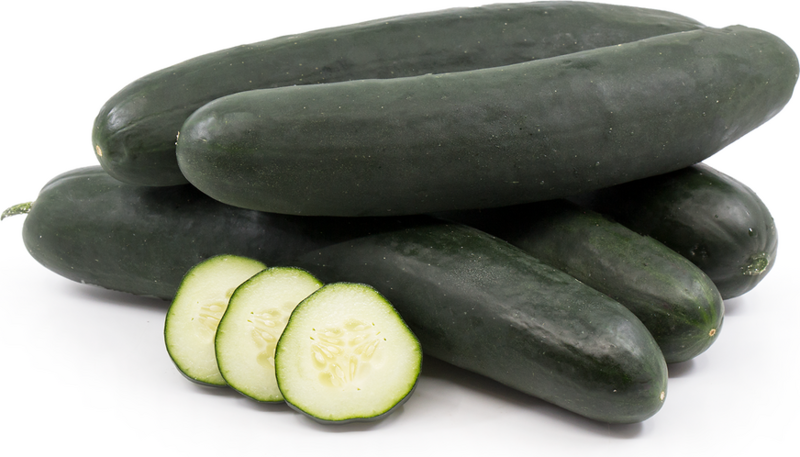 Cucumbers are well-known around the world, and approximately 84 billion pounds are produced each year. The phrase “cool as a cucumber” is prevalent in American slang and is a direct reference to the soothing and cooling effects that Cucumbers have on body temperature when consumed. Cucumbers are believed to have originated in India over 10,000 years ago, where a wide range of Cucumbers and melons are still grown today. Cucumbers then spread to Europe and made their way to the US with the European colonists in the 1500s. Why are Cucumbers So Good For You? 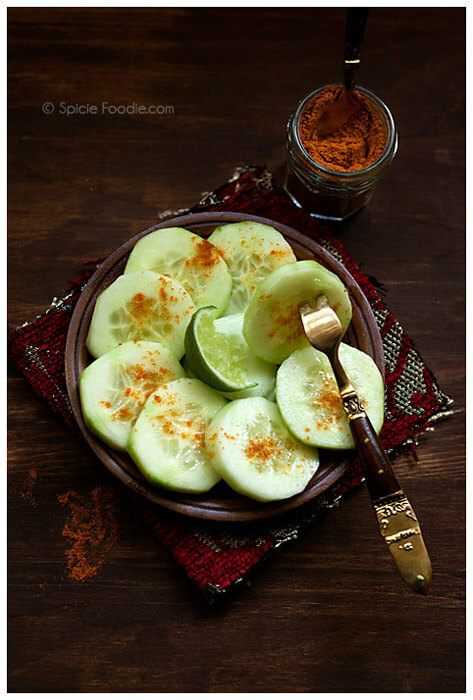 Cucumbers are an excellent source of vitamins K, A, and C, folic acid, potassium, and silica, which is a trace mineral that helps strengthen connective tissue. There are many different varieties of Cucumbers that can be divided into two different groups: pickling and slicing. Pickling cucumbers are smaller, can be oblong and short to long and cylindrical, and have thin, green skin which is ideal for pickling. Slicing cucumbers are large and cylindrical, averaging 15-20 centimeters in length, and have thick skin. The skin can be smooth or ribbed with small bumps and nodes depending on the variety. Slicing cucumbers are most commonly seen in the local market’s produce section and can range in color from dark green, to yellow or white. The inner flesh is light green with pale, edible seeds and has a crisp, aqueous texture and mild floral and grassy flavor. Cucumbers are commonly consumed raw. Slice cucumbers and add to salads or a crudité plate. Marinate Cucumbers in oil, vinegar, and spices and serve with sugar snap peas and mint leaves. Shred Cucumber into a cheesecloth and squeeze to remove as much moisture as possible and then mix with yogurt and dill for a tatziki sauce. It can also be sliced lengthwise, diced, and added to quinoa or bulgur wheat salad. Cucumbers pair well with mint, dill, tuna fish, chicken salad, tomatoes, green peppers, and onions. Cucumbers will keep for a few days when stored in the refrigerator. If only a portion of the Cucumber is used, wrap the remaining piece tightly in plastic and store in the refrigerator to prevent dehydration. 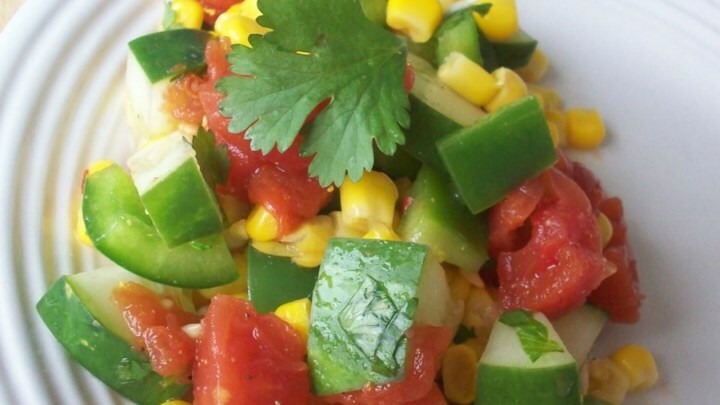 Get most of the ingredients (Cucumber, Corn, Tomatoes, Bell Peppers, Garlic and Cilantro) from your friendly Atchison Farmers! A combination of cool and crunchy vegetables with a zap of crushed red pepper and other seasonings. 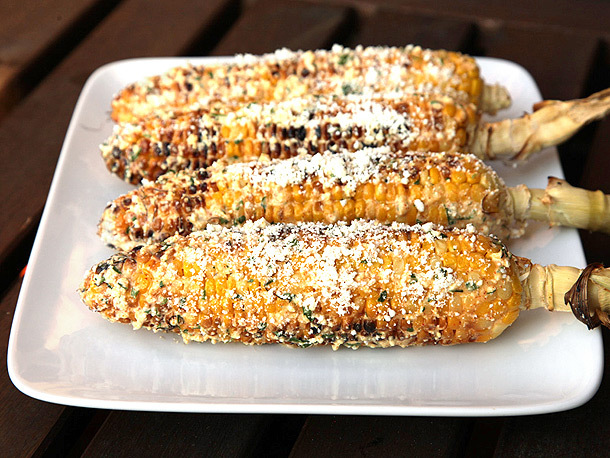 The classic Mexican street food of grilled corn slathered in a creamy chili-, garlic-, and Cotija-spiked sauce. In just 4 easy steps! 1.Light 1 chimney full of charcoal. When all charcoal is lit and covered with gray ash, pour out and spread coals evenly over half of coal grate. Alternatively, set half the burners of a gas grill to high heat. Set cooking grate in place, cover grill, and allow to preheat for 5 minutes. Clean and oil grilling grate. 2.While coals heat, combine mayonnaise, sour cream or crema, cheese, chili powder, garlic, and cilantro in a large bowl. Stir until homogeneous and set aside. 3.When grill is hot, place corn directly over hot side of grill and cook, rotating occasionally, until cooked through and charred in spots on all sides, about 8 minutes total. 4.Transfer corn to bowl with cheese mixture and use a large spoon to evenly coat corn on all sides with mixture. Sprinkle with extra cheese and chili powder and serve immediately with lime wedges.